As some of you know, I live in Philadelphia now, and I’ve got a decent amount of outdoor space. There’s no grass, but there is a patio that is currently hosting several plants. At the moment, there are a few raspberry plants, some basil, a young fig tree, and some mesclun mix. These pictures were taken Thursday morning. 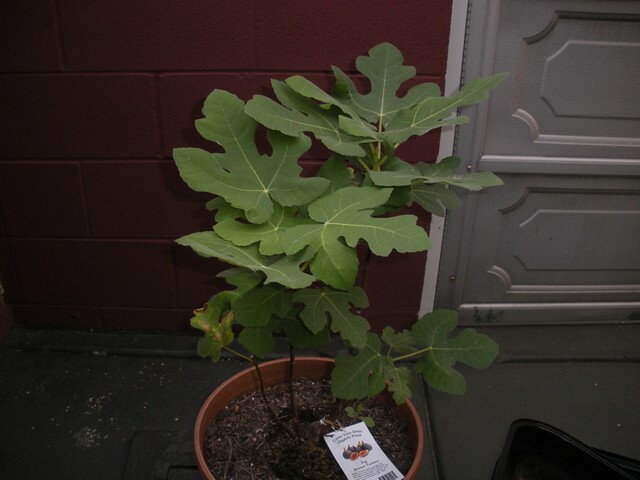 I bought the fig tree from Whole Foods in July, and it’s grown quite a bit since then. I was inspired to take the plunge and get the tree by Marie Viljoen’s lovely gardening blog. I hope it will do well. It’d be nice to eventually get enough figs for some preserves, assuming I can talk some of my friends into making them. I have a remarkable number of friends who make really delicious jams and preserves—enough that I could probably do a tasting competition. 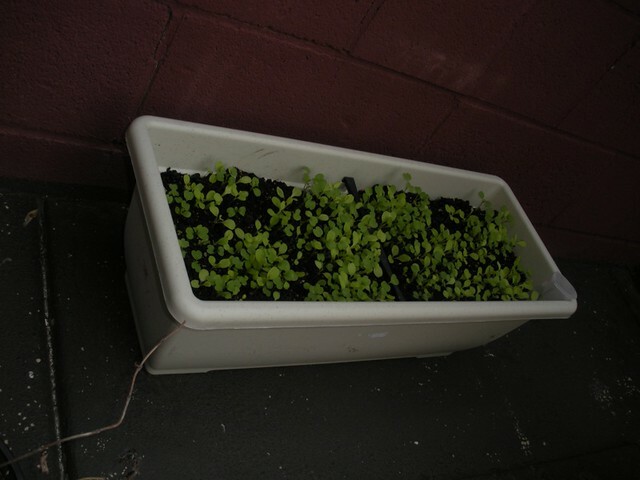 The mesclun mix was planted from seed about two weeks ago. Oh, and in case you’re wondering, the glass pumpkins in the new header image are from an exhibit at Longwood Gardens back in November 2008.